Clouds were tickling Milestone Mountain (13,641') and Midway Mountain (right) as the sun set behind them. 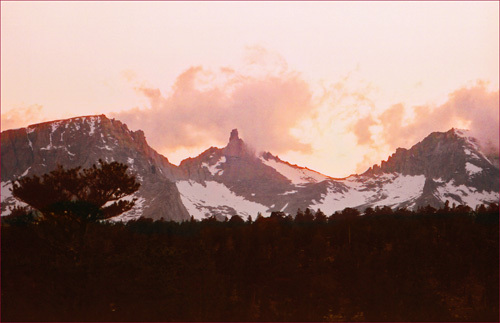 These lofty peaks are part of the Great Western Divide mountain range. Milestone Mtn has a beautiful summit block. I'm guessing it is way too difficult for me to climb.